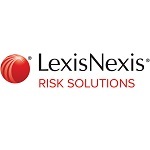 LexisNexis Risk Solutions has achieved a Certified Qualified Entity authorization that would allow the company to utilize claims data from the Centers for Medicare and Medicaid Services to produce performance reports on health care providers. The CMS Qualified Entity Program certification enables the firm to receive Parts A and B medical and Part D prescription drug claims data from the Medicare program in order to create provider performance reports to be released to the public, LexisNexis said Wednesday. The company delivers a variety of healthcare data offerings to pharmacies that integrate provider information, claims data and patient feedback in order to monitor patient analytics and provider performance. Josh Schoeller, senior vice president and general manager of LexisNexis' healthcare division, said the certification validates the company’s experience in integrating rigorous data security, privacy programs and multiple sources of claims data. He added that the company is looking forward to fostering transparency in healthcare performance, spurring innovation in performance measurement and improving the quality of provider performance. LexisNexis currently holds a QE status for all 50 U.S. states and the District of Columbia.